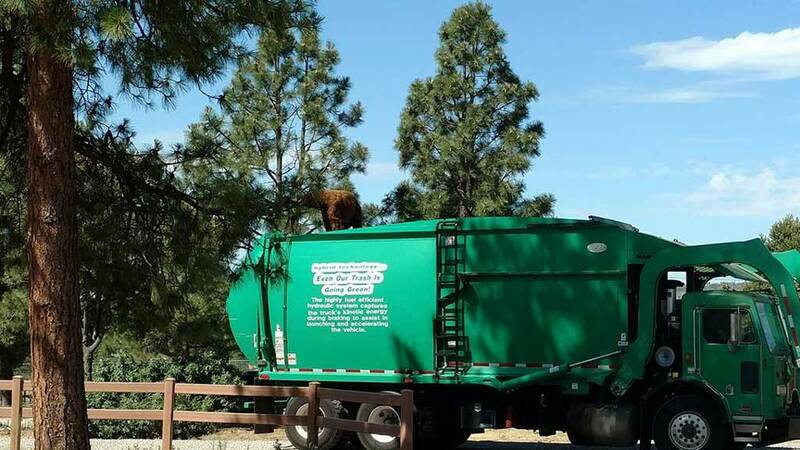 Sanitation workers near Los Alamos, New Mexico, had an unusual hitchhiker last week. 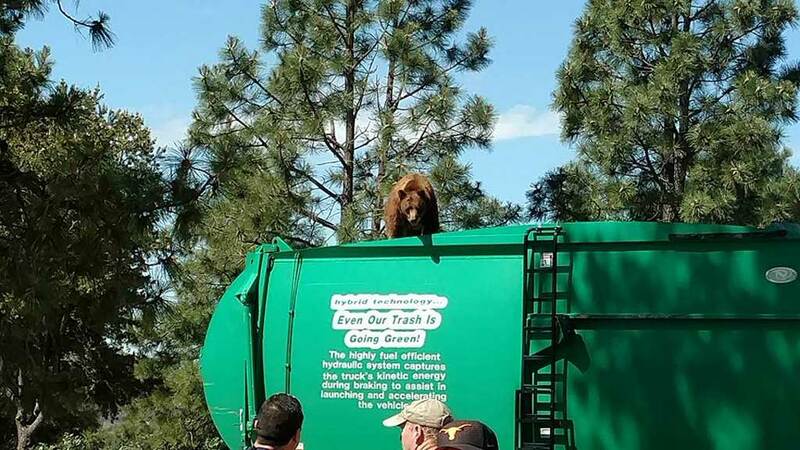 A bear was on top of a garbage truck on a mountain route. "It was kinda just a cool, cool thing to get to see," said La Cueva volunteer firefighter Caleb Johnson. Johnson whipped out his cell phone and started filming. 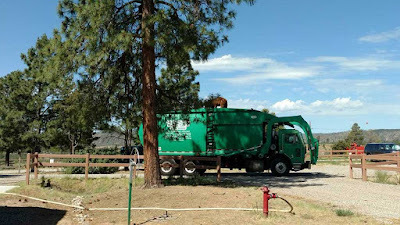 "I mean they're out there you know, and you've got to be careful around them," said Johnson. LiveLeak link. Caleb Johnson's original facebook video. 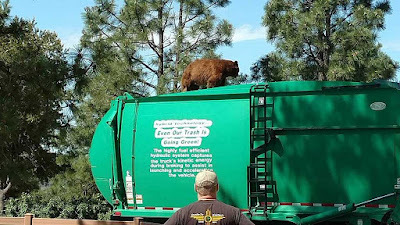 "Right, I mean, obviously it's a wild animal and you've got to be careful with it," said Johnson. 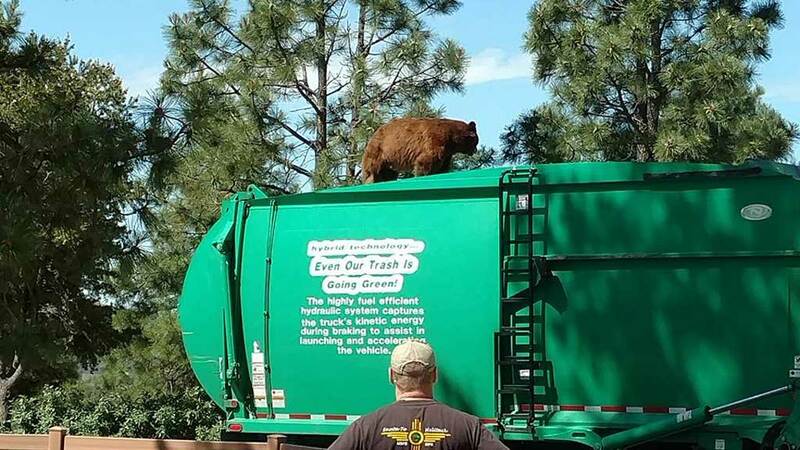 "Somebody told the dude to back the truck up to a tree and see if the bear would climb down," said Johnson. 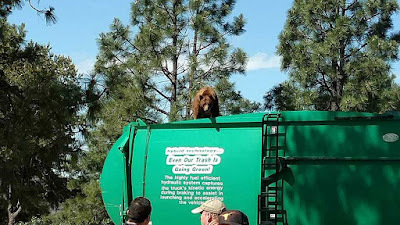 "And yeah, the bear climbed off into the tree."